The Bolivar Inmensas, discontinued in 2009, is a delicious and strong Lonsdale, 6.7” (170mm) long, of 43 ring gauge, and comes in a 25 cigars box. This Bolivar is a true classic. It does not have the brusquenes of the Montecristo No. 1, but it does have its strength. 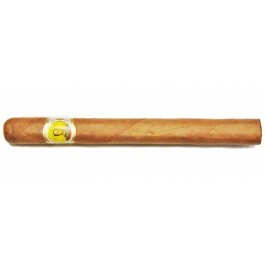 It surprises from the first moment, with excellent draw and combustion, which recall the more traditional Habanos. A true Habano for gentlemen. When it comes to taste and quality, all of the few Dalias are outstanding. The Inmensas, with its spiciness and rustic notes, is here to offer the Bolivar touch.